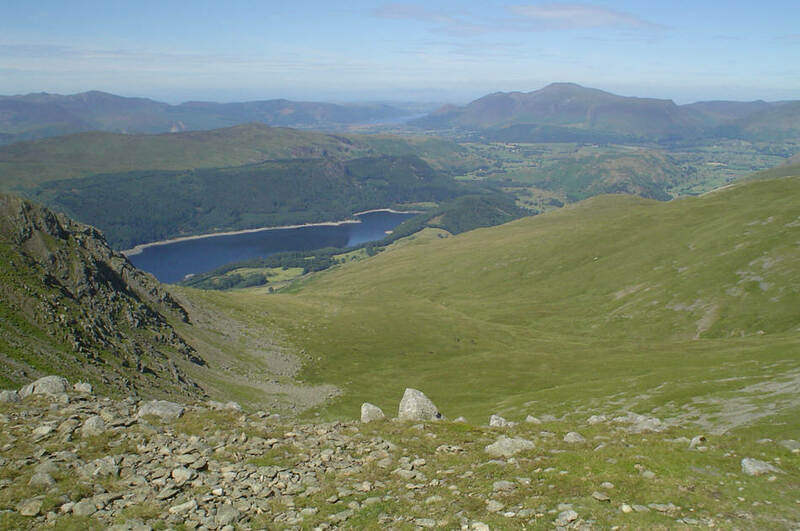 A view of Thirlmere and beyond from the Helvellyn ridge. This picture was taken from the ridge between Helvellyn Little Man and Whiteside Bank. Browncove Crags are visible to the right. Top right is Skiddaw, with Bassenthwaite Lake just visible to its left. Finally, in the distance the Solway Firth is just visible, beyond it Boreland Hill, forty miles distant in Scotland.